As Senior Research Associate in WestEd’s STEM program, Betsy McCarthy directs research and evaluation projects that provide researchers, educators, product developers, policymakers, and practitioners with information that helps them improve education products, practices, and services. McCarthy serves as a research lead for a number of large research projects, including an Investing in Innovation (i3) grant with Sonoma State University, in partnership with the Mendocino County Office of Education, to develop an integrated high school STEM curriculum that uses computational thinking to focus on Next Generation Science Standards. 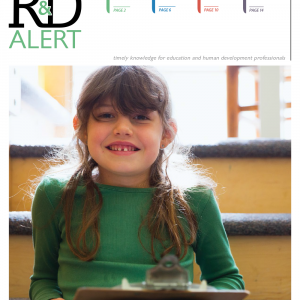 An implementation study of the program, as well as classroom and teacher case studies, are providing insights to researchers and practitioners around best practices in instruction focused on NGSS. 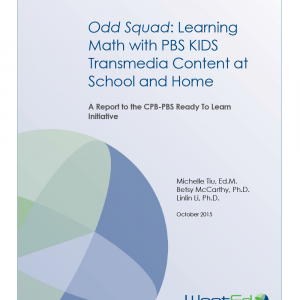 She also leads research for several federal Ready to Learn projects, including CPB and PBS’s Expanded Learning Through Transmedia Mathematics Content project to develop television and digital learning resources for children ages 3–8, and Twin Cities PBS’s STEM Superhero School project to develop television and digital learning resources for children ages 5–8. 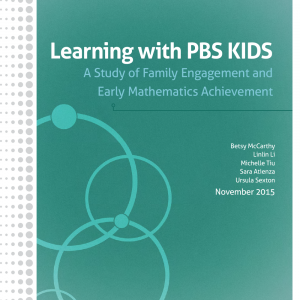 In her work with the Ready to Learn program over eight years, McCarthy has overseen research and evaluation focused on hundreds of products and resources for children ages 3–8 years, their parents, and the educators who support them. These products and resources are, or will be, available for free at PBS KIDS (pbskids.org). 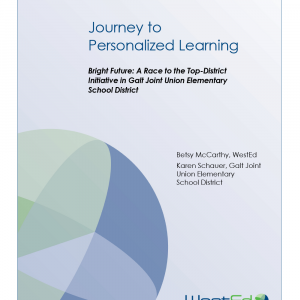 McCarthy directs research and evaluation for Galt (CA) Joint Union Elementary School District’s five-year Race to the Top-District (RTT-D) personalized learning project. 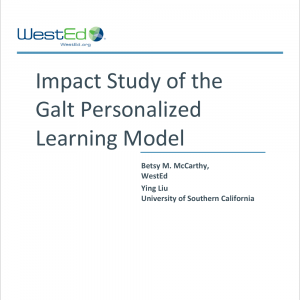 She recently completed a longitudinal study of the effects of the district’s personalized learning model using Northwest Evaluation Association’s Measures of Academic Progress archival data and a virtual comparison group to show significant student growth over four years in the areas of mathematics, reading, and language usage. 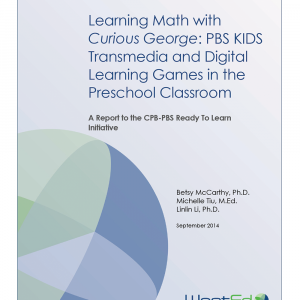 As principal investigator for an NSF DRK-12 Development grant in Measurement: Development of the Electronic Test of Early Numeracy (e-TEN), McCarthy and her team, with colleagues from the University of Illinois Urbana-Champaign, are developing a rigorous, adaptive mathematics assessment for children ages 3–8 that is administered digitally via a fun and engaging app. McCarthy recently presented on best practices in designing and using educational digital products for children and adults, at meetings of the Society for Research on Child Development and the American Educational Research Associations. She earned a BA in human biology from Stanford University, a masters in developmental psychology from San Francisco State University, and a PhD in psychological studies in education from Stanford University, where she was twice a Spencer Foundation Fellow.